Come and hop along our Facebook Frenzy and collect 18 products to make a HUGE book companion! The products range from young to older students and include activities for an array of speech and language goal areas. Click on the map to download the "linkable" Google Doc frenzy map! If you like any of my phonological awareness book companions, you will want to be sure to grab this freebie over at Speech Universe on Facebook. 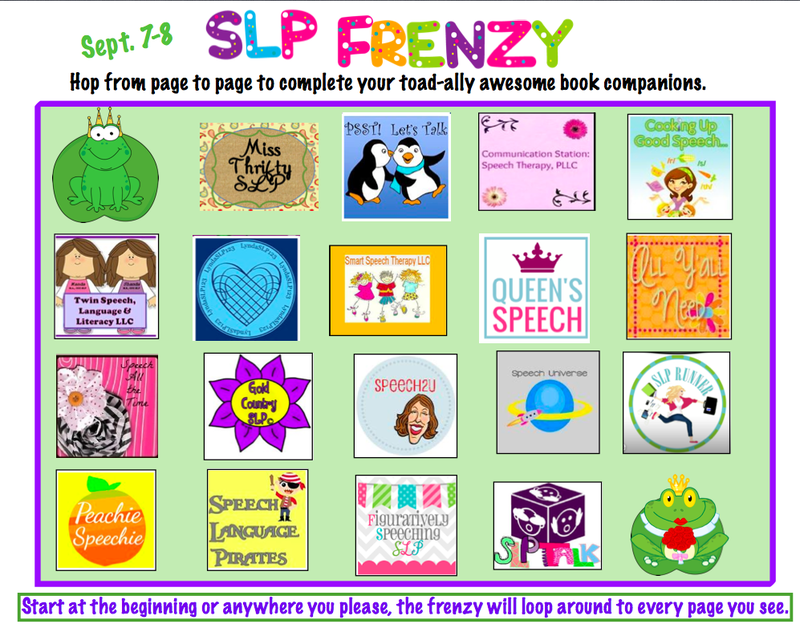 When you go to Speech Universe on Facebook, click on the tab that says "SLP Frenzy" and then it will direct you on how to collect your freebies! You can see the cover pages of all of the freebies included in the frenzy HERE. Because of changes to Facebook, this is the last Facebook Frenzy we will be able to do. I hope you enjoy grabbing all of these great freebies!